Comments Where there is a will there is a way. 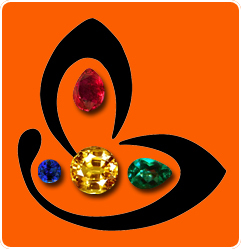 Even when it comes to planetary gem therapy, individual desirous of going through with it has the alternative of upratnas or substitute gemstones. Planetary gem therapy is not restricted to the affluent few so it would be a mistake to accord it the status of an expensive one. It is though an exclusive one. It is more a matter of grace, for it is firmly believed that you are shown this route to realising your destiny only if you have the grace. The gemstone featured today makes a case for just the point – a beautiful natural heliodor of 2.95 carats from Brazil, set in sterling silver as a Jupiter talisman. The natural heliodor is eye clean and has and great lustre, not to mention the saatvik resonating energies of guru within it. 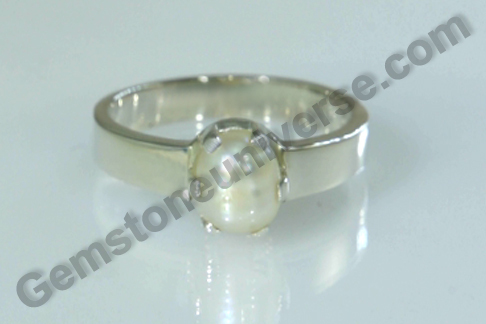 Natural heliodor is the substitute gem or upratna for Jupiter also known as Brihaspati/ Guru and provides an alternative for Natural Yellow Sapphire or pukhraj, which is the main gemstone of Jupiter. Also known golden beryl, the heliodor is paler shade of yellow with a palpable shade of gold and a hit of green in it. Heliodor is used to enhance intuitiveness and power of expression. 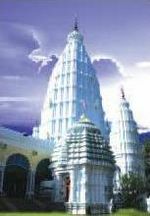 It also helps health issues related to heart and digestive tract related issues. Comments From the womb of the earth emerges a miracle of nature – that which has been incubating for millions of years, collecting within its miniscule dimensions, energies of epic proportions! 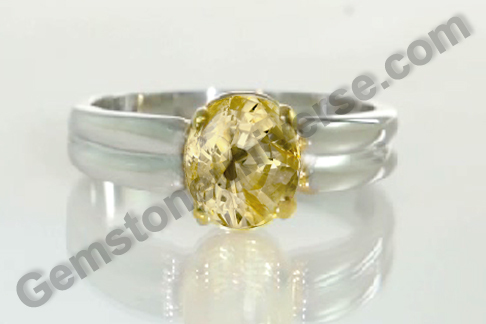 Featured today is a feisty 6.08-carat natural Ceylon yellow sapphire. The mammoth (in terms of jyotish weight) cushion cut gem has a rich golden butter yellow color and electric lustre. This yellow sapphire is flawless and captivatingly beautiful. This yellow sapphire is fully natural, unheated, untreated and is from the Ratnapura mines of Srilanka. 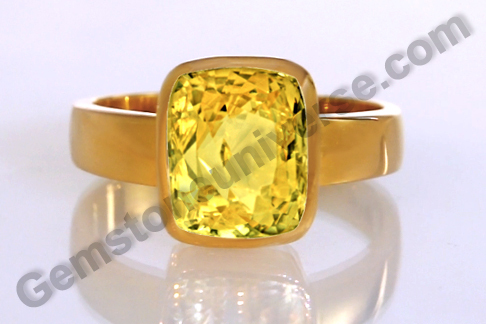 This yellow sapphire has been specially sourced for the patron who wanted it with the above stated specific parameters. If you carefully observe the dimensions of this gem, it has a depth greater than 7 mm, allowing the gem to hold much of its caratage in its belly. 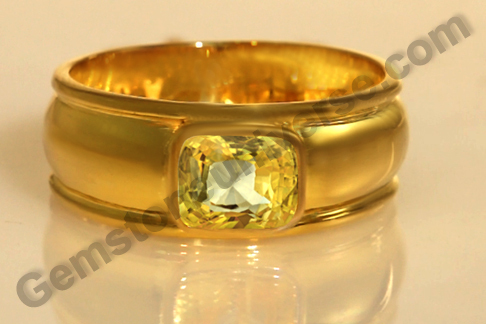 The gem has been set in 22 karat gold as a natural yellow sapphire ring. Yellow sapphire is also known as pukhraj in Hindi and Vedic astrology describes it as the gemstone for Jupiter also known as Guru / Brihaspati. Note: Thank you Dear Patron, for the gracious testimonial. Comments The softness of color, the brushing of the senses against the silk, durability of mineral matter and the appeal of exclusivity, luxe appeal and rarity are the real ingredients of today’s gem. 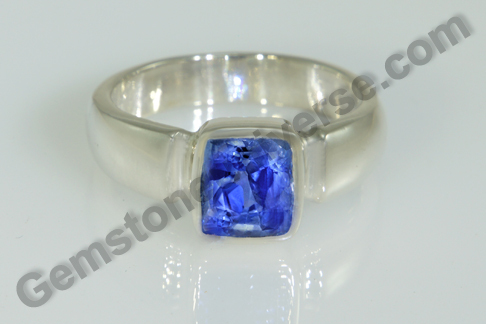 Featured today is an exceptional natural Ceylon blue sapphire of 3.65 carats, which is a great jyotish weight. 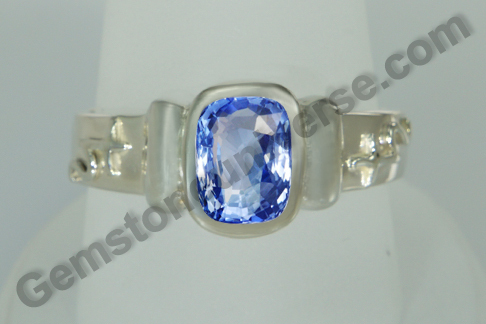 This flawless oval shaped beauty is unheated and untreated, has the coveted and rare silky cornflower blue color, fantastic clarity and electric lustre. The blue sapphire is a very fascinating gemstone – not only because of its incredible planetary powers but also because of the sheer range of blues that it comes in – from the lightest of watery blues to the deepest colors of midnight! 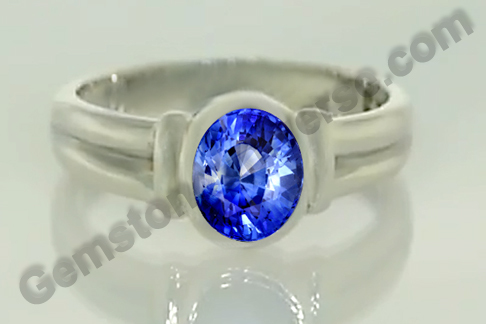 Corundum gets a blue color due to varying amounts of traces of titanium and that is precisely what blue sapphire is. Comments The color of a golden harvest, promising riches and good fortune! 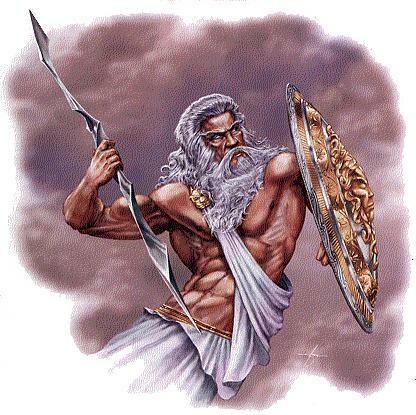 The herald of all things good, such is the gemstone of Jupiter. 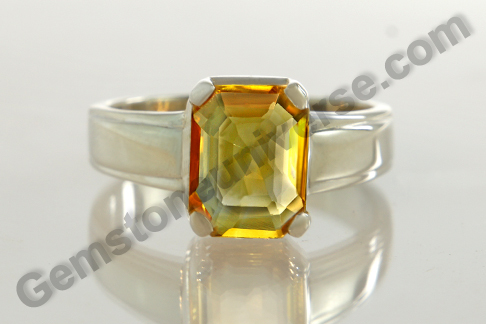 Featured today is a natural Ceylon Yellow Sapphire of 2.44 carats. This completely natural, unheated and untreated Yellow sapphire is from the famous Ratnapura mines of Sri Lanka. 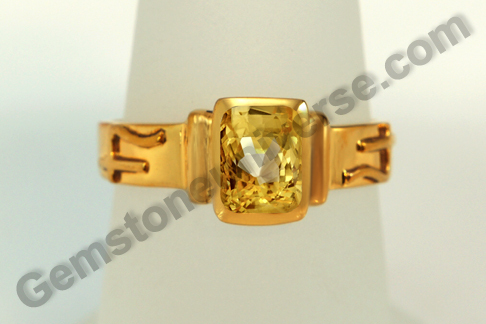 The cushion shaped gem has the coveted canary yellow color and splendid clarity and lustre. One look at the gem and you know that it is special. The richness and luxe appeal just show through. A natural Ceylon Yellow sapphire with this color acquires the status of a premium gem just by the natural presence of this rich canary color. The striking aspect of the colors yellow and gold is that there is a undercurrent of auspiciousness and prosperity that courses through these hues. These colors are warm and inspire a subtle strength and security. Natural Yellow sapphire or Pukhraj is the gemstone of Jupiter also known as Guru or Brihaspati and is used as a talisman to harness its benevolent energies. 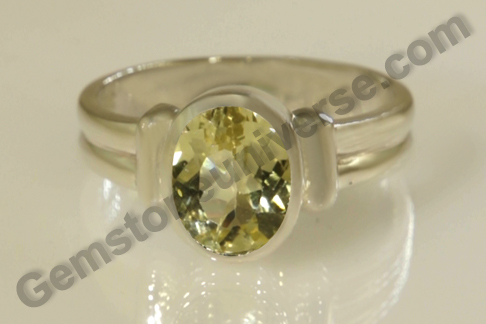 To view the natural Yellow sapphire price and inventory, click here.